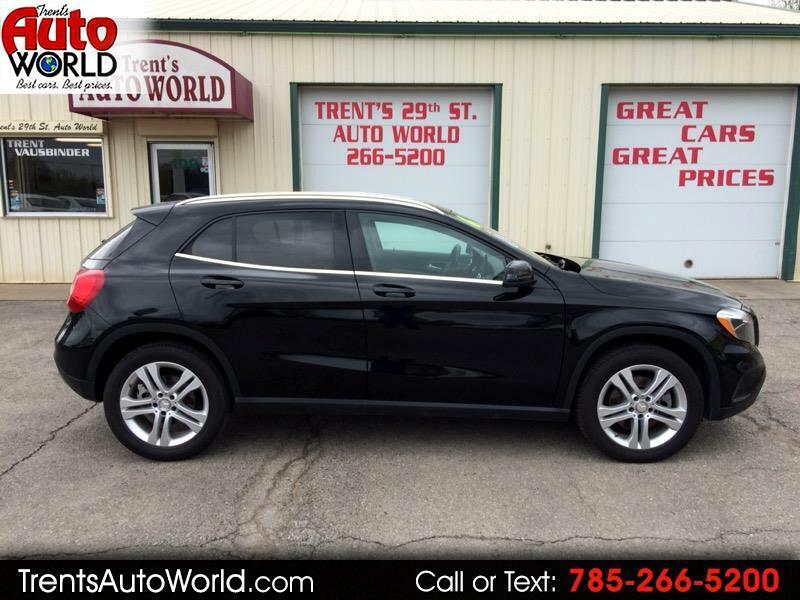 2016 Mercedes Benz GLA 250 Crossover on sale below $20k! This nicely equipped Mercedes Benz is the perfect vehicle for everyday activities with it's combination of utility, performance, and economy. It comes with a rear view camera, heated front seats, durable MB-Tex interior, push button start/ stop with keyless entry, rain sensing windshield wipers, dual zone automatic climate control, automatic headlights, 18 inch alloy wheels, Eco start/ stop, to go along with Mercedes durability. Please call Glenn or Trent at 785-266-5200 with questions or stop in today for a closer look and test drive. Price has been reduced for quick sale. Thank you for shopping trentsautoworld.com! !